The port of Gloucester was of great historical importance. The Romans built a fort which was used for the transport of men and supplies between the Midlands and Wales. 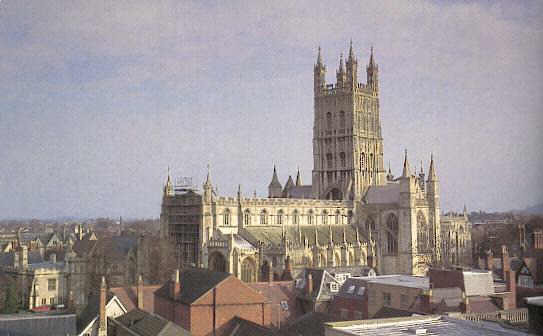 In 1580 Gloucester was granted the status of port by Queen Elizabeth 1. In 1794 a canal was constructed to Berkeley which opened up a link with the Stroud water and Thames canals so providing a direct route to the Midlands and London. The words of the national anthem of the United States ("The Star Spangled Banner") was composed by the 35-year-old lawyer and amateur poet Francis Scott Key after witnessing the bombardment of Fort McHenry by British ships of the Royal Navy in Baltimore Harbor during the Battle of Fort McHenry in the War of 1812. Key was inspired by the large American flag, the Star-Spangled Banner, flying triumphantly above the fort during the American victory. The poem was set to the tune of a popular British song written by an Englishman, John Stafford (1750 - 1836) from Gloucester. In its heyday the port of Gloucester was a major centre for the shipment of timber, corn, metals, wines and spirits and the elegant tall ships pictured in our photographs were a familiar sight. 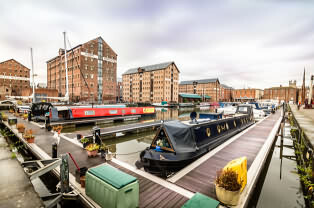 Today many of the historic warehouses have been converted and the docks with their museums, pubs and café's provide a major attraction for tourists. A healthy mixture of major stores and hundreds of independent and regional retailers, many of which are unique to Gloucester make the city an ideal place to shop. at Britain's most inland port. Gloucester Cathedral - The former abbey church founded 1300 years ago is now the cathedral church of the Gloucester Diocese. The architecture of the cathedral varies from the Norman nave with its massive columns to examples of Romanesque and early Perpendicular. Historic Gloucester Docks - Fifteen Victorian warehouses have been renovated and now house various museums, exhibitions and antiques centre. Gloucester Docks was the Filming location for feature film Amazing Grace (2007) starring Ioan Gruffudd, Michael Gambon and Rufus Sewell. Also the setting for 1970s TV series The Onedin Line. Tailor of Gloucester Beatrix Potter Museum and Shop in Gloucester. More info see Beatrix Potter. Brecon Mountain Steam Railway is 20 miles travel distance.